Sprint is spreading some holiday cheer and will help you do the same – if you lease an iPhone X, XS or XS Max, you’ll get a free iPhone XR. More details on that here. If, instead, you can snag a free iPhone 8 if you lease a second iPhone 8 or an 8 Plus. 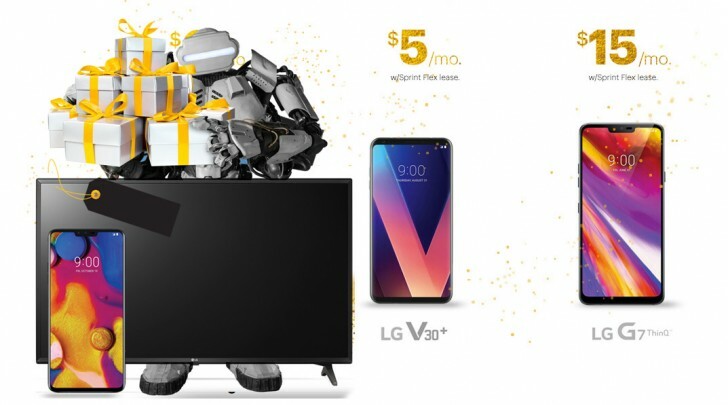 The LG V40 ThinQ deal comes with a free 49” LG 4K TV (worth $500). This is another 18-month lease for $20/mo. Note that this applies only for new lines. An LG V30+ is available at $5/mo, the G7 ThinQ at $15/mo.